Ring with antic texture and esoteric symbol. Silver and brass. 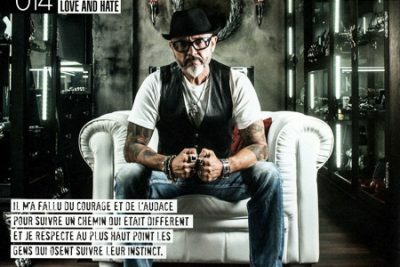 Created in July 1999 by the prolific and artistic talent Thierry Martino, SoulFetish quickly established itself in the magnetic world of rock chic jewelry. Silver jewelry designed by Thierry Martino | Manufactured by SilverStudio Co., Ltd. | SoulFetish® is a trademark by the Silver Studio Co., Ltd.